Do you have extra mint that you can’t finish? Instead of letting them rot and eventually throwing them away, why not plant them instead? 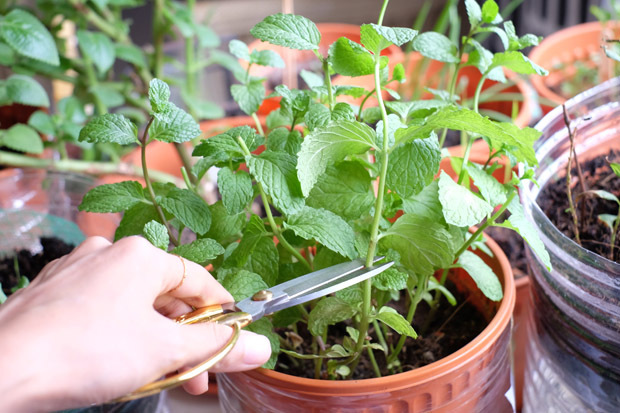 Or you have a pot of flourishing mint which you are told you should harvest to encourage more growth. 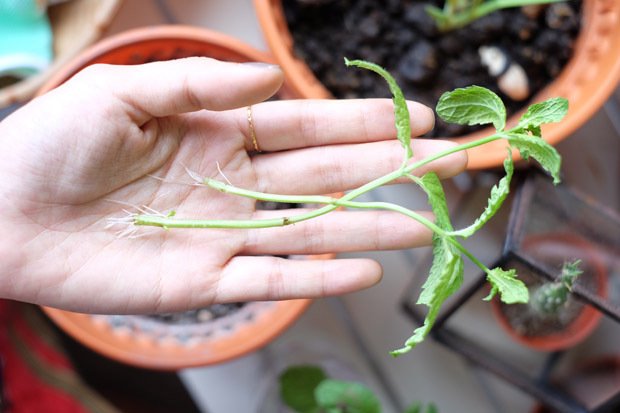 Why not propagate the stems and giveaway to your friends? When I started my apartment garden, I get most of my potted plants from family, friends and a community garden. Planting from seed takes too much time, effort and patience. But I realise that planting from stems is rather easy. Vegetables and herbs that we got from the supermarket normally have their roots remove. The good news is that you can grow the roots again in water! 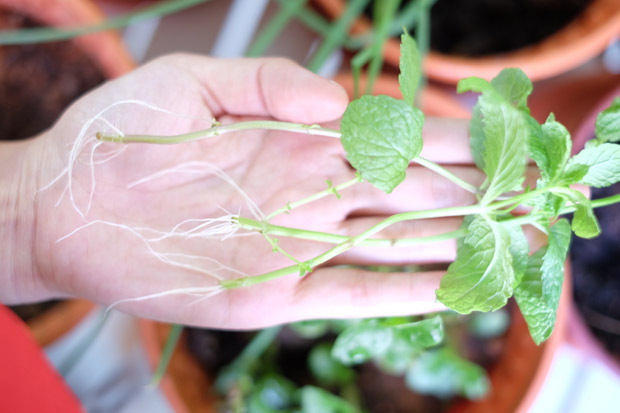 All you need to do is place the stems in water and in a matter of days, you’ll see light roots growing from the nodes. You can simply put the stems in a jar. 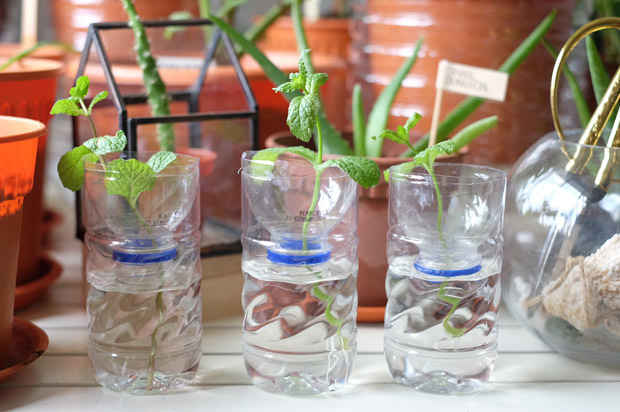 But I like to give proper attention to each stem by placing them in a DIY rooting bottles. The leaves are gently held by the cup of the bottle and the delicate roots would be protected from others stems. Besides, treating stems like individuals and seeing the difference in their growth is fun. I like to see how stems from the same plant and soaked on the same day has different growth rate. 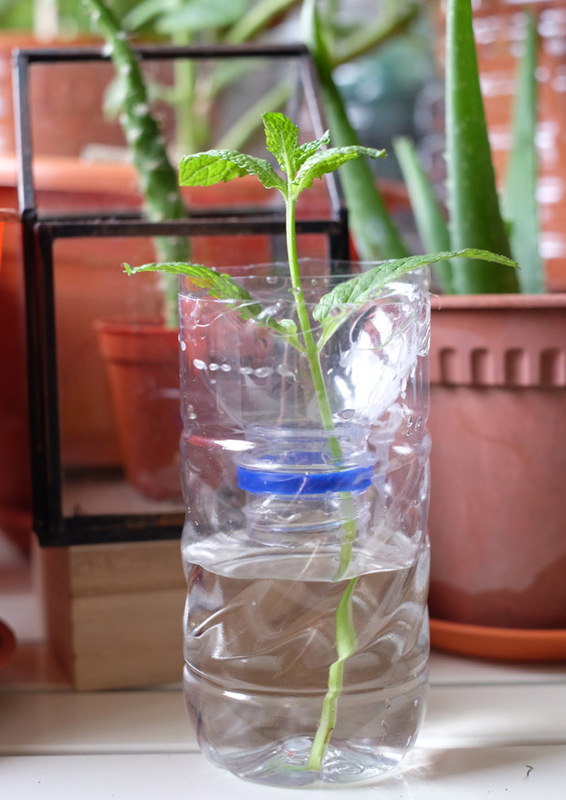 Here’s how to make your own DIY rooting bottles! 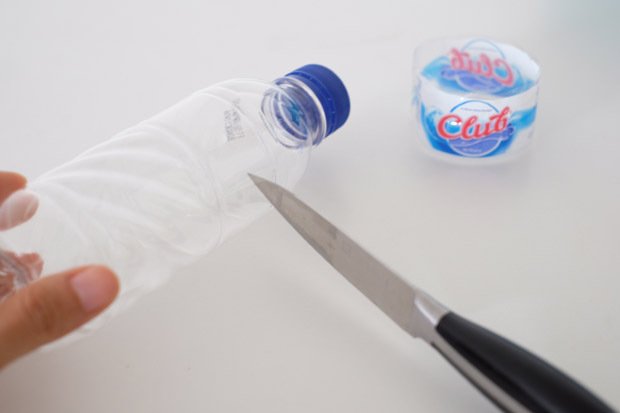 Remove label from the bottle. 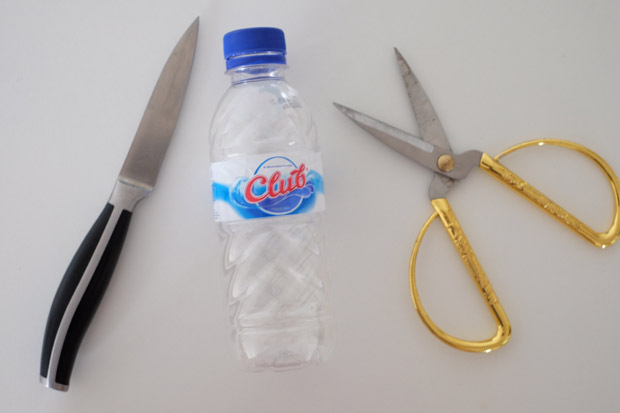 With a knife, poke a hole at the curve of the bottle. 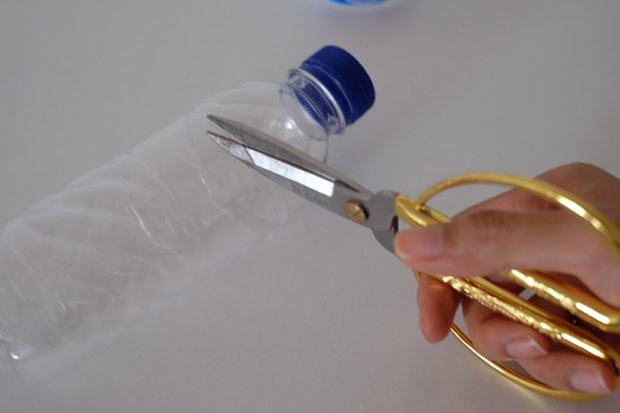 Continue to cut it with a knife, or use a pair of scissors to detach the top. 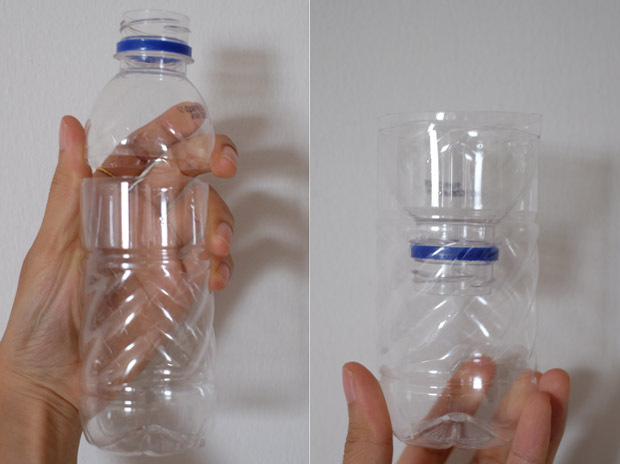 Flip the top and place it over the bottom bottle. Fill with water and place stem in it! Cut the stems right below the nodes. This is where roots will shoot out. 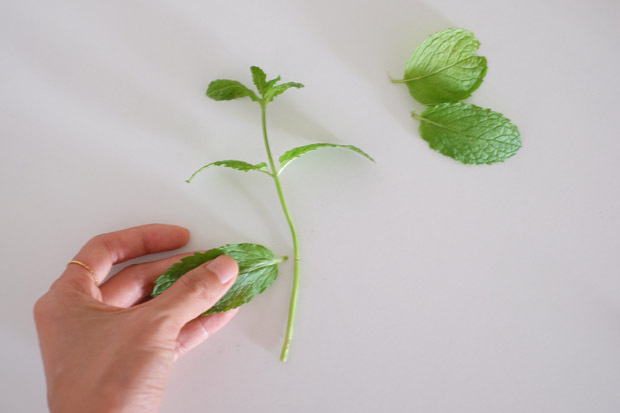 Remove leaves from the bottom of the stems. Besides mints, you can try other herbs like daun laksa (kesum) and basil. Let the roots grow to at least 1/2 inch. Mine took 5 – 10 days. Do try it and tag us on Facebook or Instagram! We’ll love to see how yours turn out!